The advanced light attack jet is developep to meet the OA-X requirements. Aero and IAI introduced multirole F/A-259 Striker aircraft. Aero, the biggest Czech aircraft manufacturer, and Israel Aerospace Industries, world leader in defense systems technologies, introduced cost-effective, combat proven fighter attack aircraft at the Farnborough International Airshow 2018. 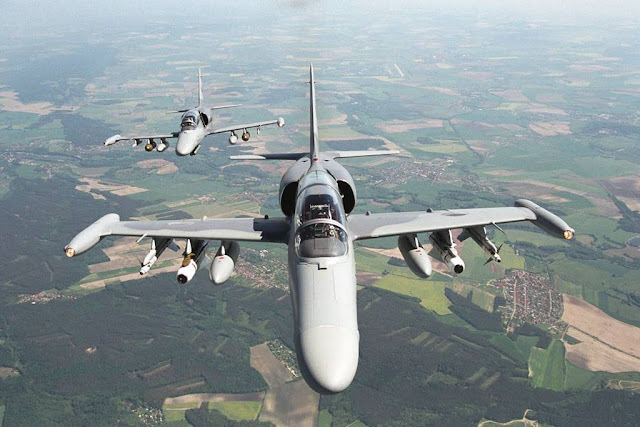 The F/A-259 Striker is a multirole aircraft for close air support, counter-insurgency operations and border patrolling with interception capabilities. Benjamin Cohen, General Manager of Israel Aerospace Industries’ Lahav Division, said: “Our cooperation with Aero Vodochody offers the USAF impressive proven performance of the F/A-259, with new innovative IAI systems, to provide customers with aircraft that meet their OA-X requirements." The F/A-259 is able to operate from unpaved runways and has seven hard points for any combination of fuel, weapons, or mission equipment, allowing smart weapons integration and standoff weapon capabilities. As an optional upgrade, the F/A-259 can be equipped by AESA radar and helmet mounted display. Another optional upgrade is air-to-air refueling, increasing the aircraft’s range and endurance.